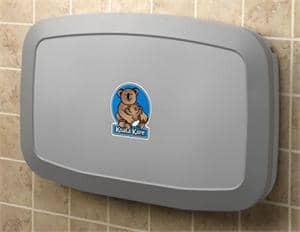 This Horizontal Diaper Changing Station, made of high-density polyethylene with Microban Antimicrobial additive, is designed for use in retail restrooms. When properly installed, this unit is ADA Compliant. Grey is standard.